Proton Power Systems, a leading developer of hydrogen fuel cells, has developed a new fuel cell range extender that may help boost the operational range of electric buses and similar vehicles. Electric vehicles have become a very popular subject in the realm of public transportation, largely due to the fact that they represent an environmentally friendly alternative to conventional vehicles. Electric buses, in particular, have been receiving some strong support recently, but these vehicles have also been criticized for their limited range and relatively low performance when compared to their more traditional counterparts. Boosting the range of electric vehicles has been a point of interest for the United Kingdom and its public transportation sector. Transport for London currently operates one of the nation’s largest fleet of electric buses and has been working to increase the operational range of these vehicles for some time. Proton Power System is not able to help accomplish this goal with its new hydrogen fuel cell range extenders. The fuel cells are meant to be directly connected to a vehicle’s battery. The fuel cell will charge this battery as the vehicle is in operation, effectively extending the distance this vehicle can travel before running out of electrical power. Currently, these hydrogen fuel cells are quite small in scale, boasting of a power capacity of 7 kilowatts. Proton Power Systems intends to increase this capacity to 20 kilowatts in the near future. While the new hydrogen fuel cells from Proton Power Systems may be a boon for public transportation, no transit authority has yet embraced the new fuel cells definitively. 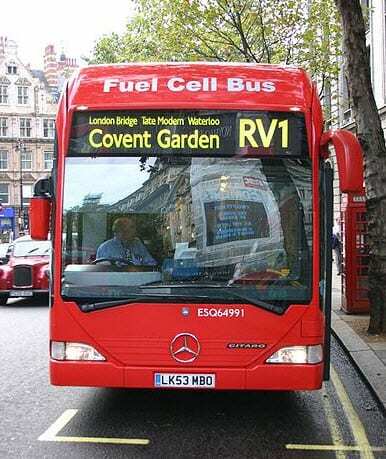 Transport for London is currently in negotiations with the company concerning its fuel cells and how they can be used to boost the operational range of electric buses and other such vehicles.